The Jewel of Eastern Bali | What an Amazing World! Bali, a land with towering volcanoes and pristine rivers flowing out onto turquoise water of the Indonesian seas. Its fertility not only brought welfare to its residents but also sparked wars between Bali’s many small kingdoms, fighting for as many lands to control as possible. 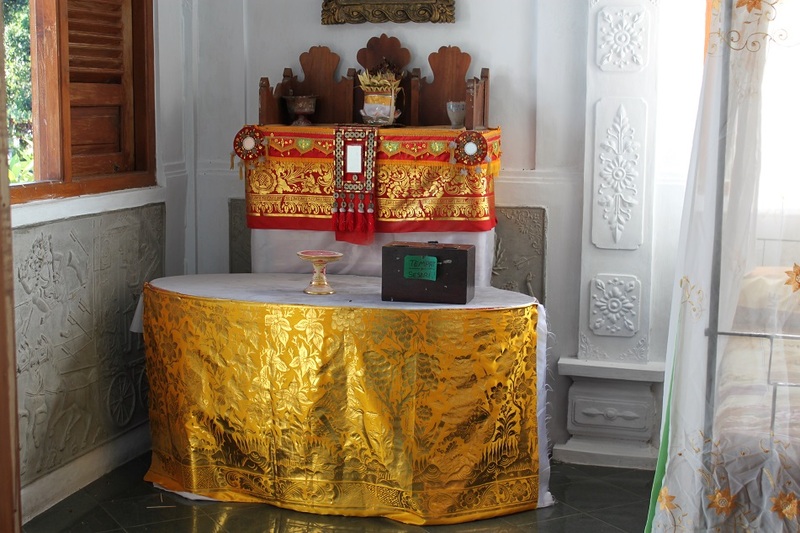 At the eastern coast of the island a kingdom saw its rise and decline over the course of centuries in a rather idyllic setting, nestled between Mount Agung – the island’s tallest volcano and most sacred place – and Lombok Strait. 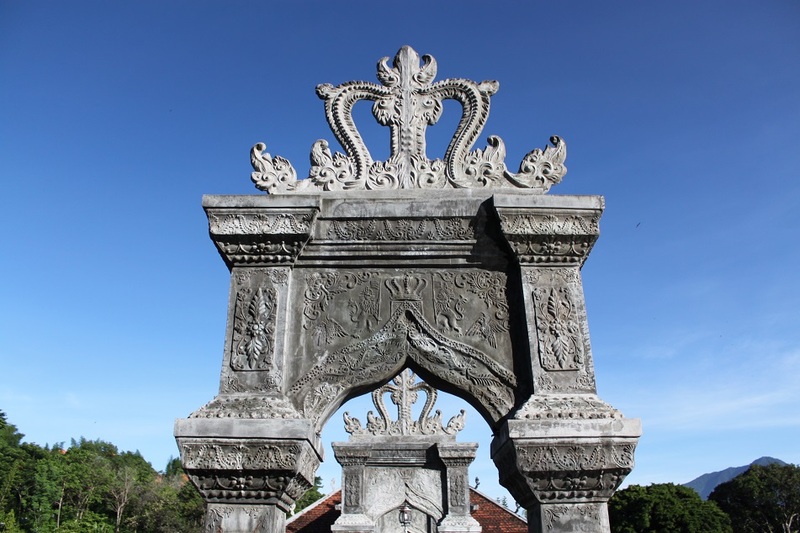 Karangasem was a small kingdom throughout most of its history, often annexed by other more powerful Balinese kingdoms or those from neighboring islands. From the 18th to early 19th century, however, the kingdom saw a union with its counterpart in Lombok, often referred as Karangasem Sasak. In the early 19th century Karangasem Sasak’s sphere of influence grew significantly, successfully defeating smaller kingdoms on the island and leaving the Kingdom of Mataram as its sole rival. Seeing a big opportunity from this rivalry, two European traders – a Dane and a Briton – took advantage by selling weapons and ammunition to the belligerents. 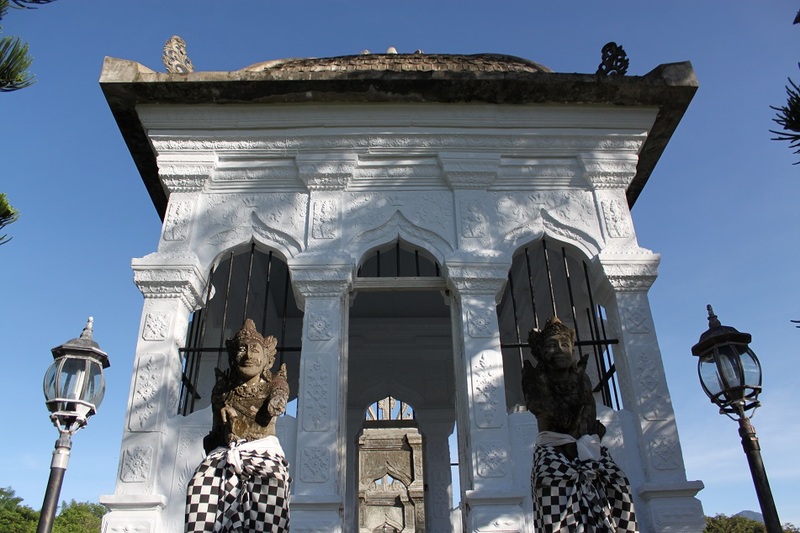 Exacerbated by the involvement of the King of Karangasem Bali who saw the emergence of Karangasem Sasak as a threat to his own kingdom, the latter was finally defeated by the Kingdom of Mataram, a new ally to the Balinese kingdom. 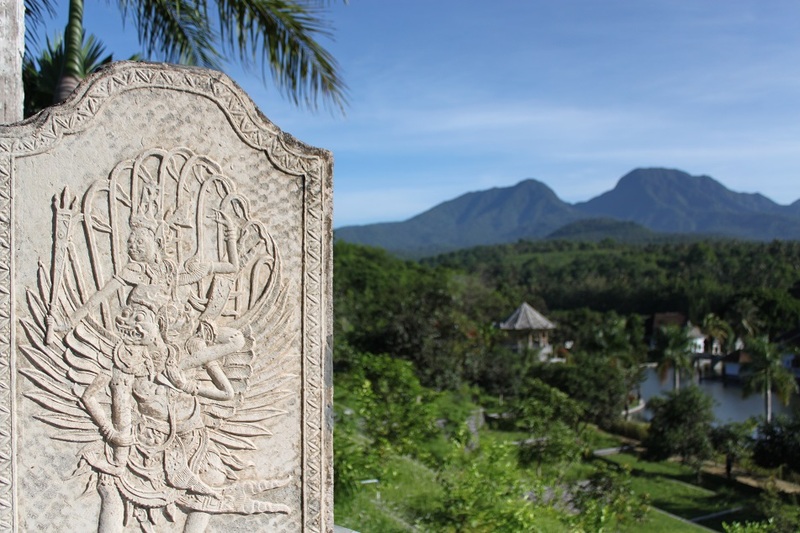 A few decades later both Karangasem Bali and the Mataram fell into the Dutch influence, creating unprecedented years without wars after centuries of turbulent history. Thanks to the newly introduced Dutch administrative systems – Rechstreeks bestuud gebied, Zelfbesturend landschappen and Stedehouder – order was in place, to some extent. 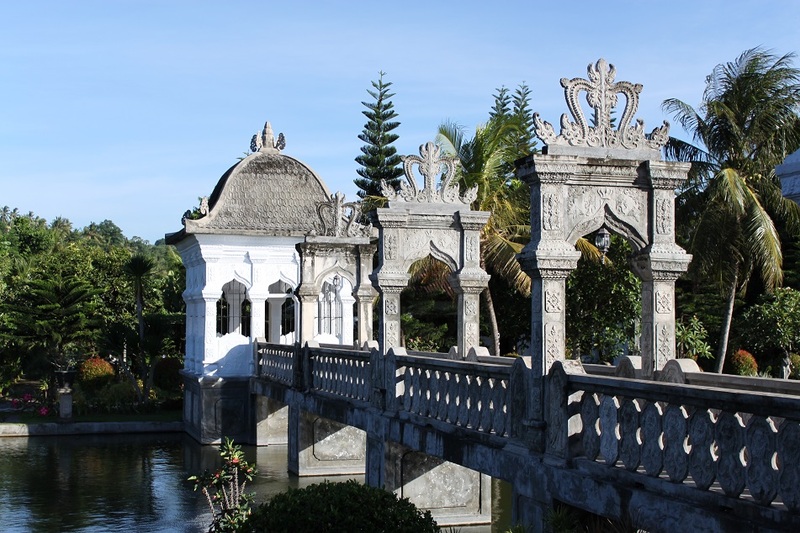 During that period the King of Karangasem, I Gusti Gede Bagus Jelantik, commissioned the construction of water palaces and gardens at the eastern part of Bali. 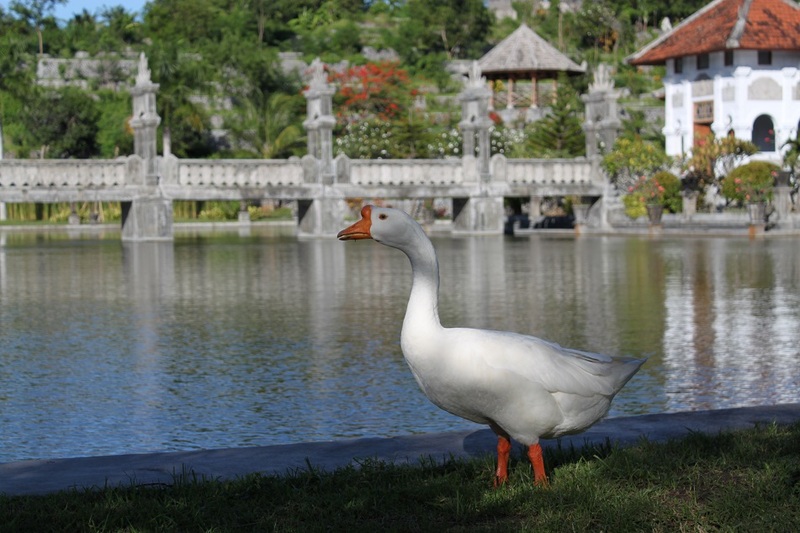 Incorporating Dutch, Balinese and Chinese architectural features, it took 12 years to complete the main water palace. 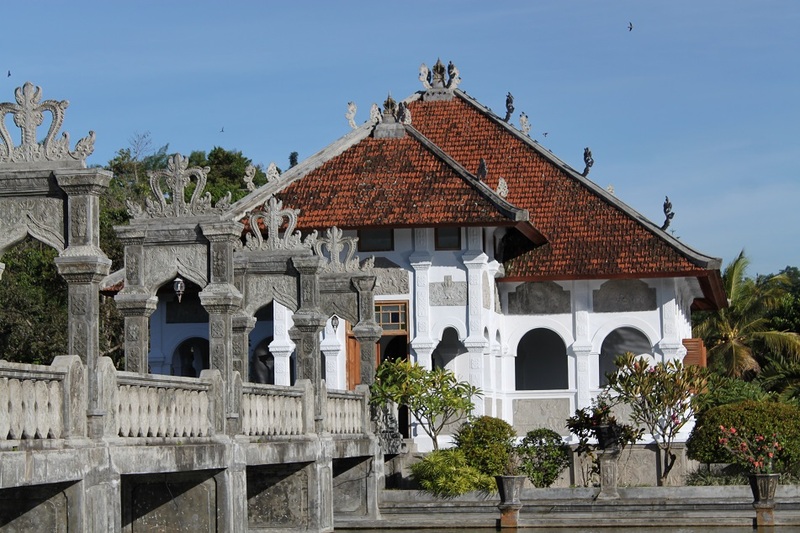 Designed by two architects – a Dutch and a Chinese – Taman Ujung Sukasada, as it is officially called, was also built in accordance to Tri Hita Karana principle, a Balinese cultural system which keeps the social fabric intact and harmonious with the nature. At its heart, lies a pavilion built in Dutch 20th century building style, embellished with Balinese sculptures and ornaments, surrounded by a rectangular pool. 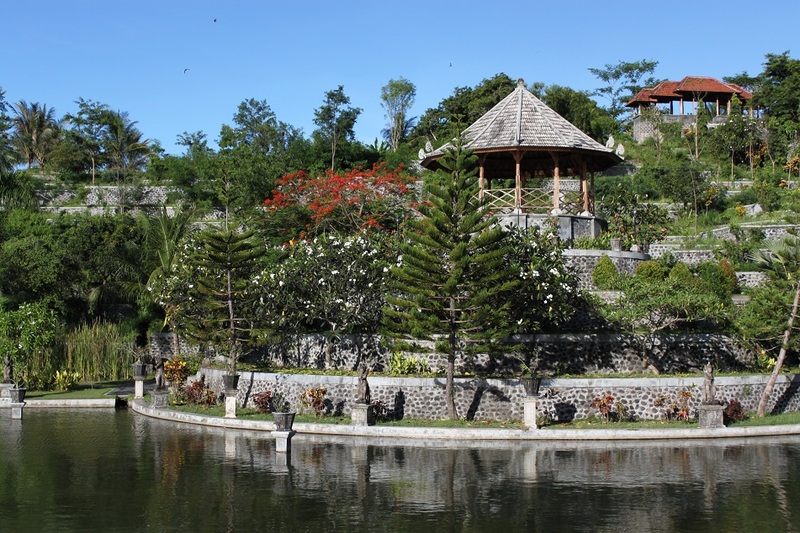 The seemingly floating residence has been used by the royal family of Karangasem since then, stretching out a staggering 400 hectares. However years later that number was reduced to merely 10 hectares due to the land reform following Indonesia’s independence from the Netherlands in 1945. 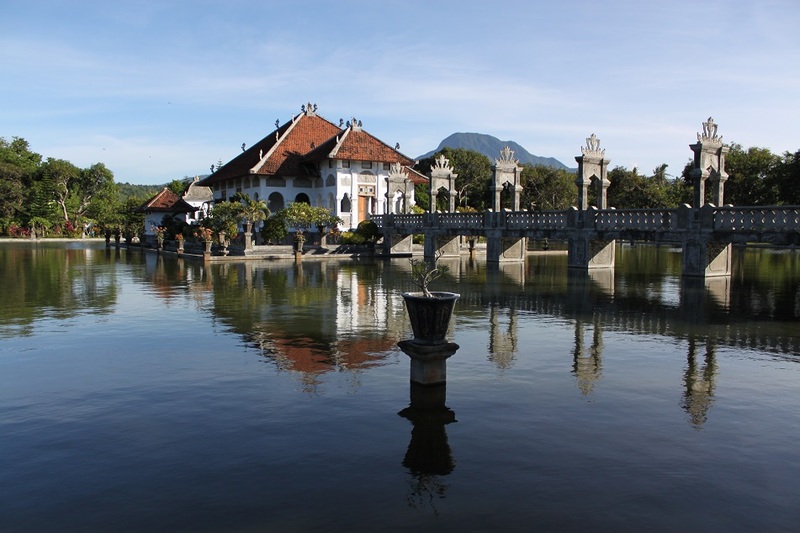 In 1963 the water palace was decimated by the eruption of Mount Agung, the biggest eruption of the volcano modern Balinese society has ever witnessed by far. 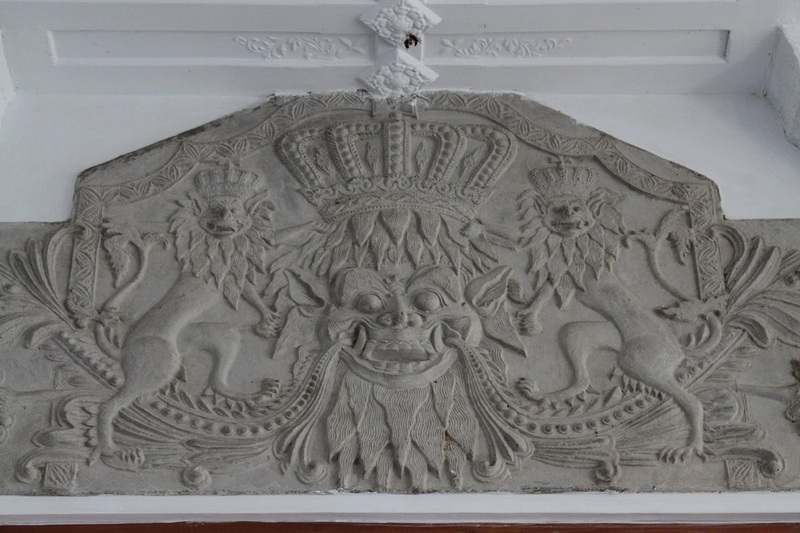 15 years later the derelict palace was further damaged by the earthquakes in northern and eastern parts of the island. 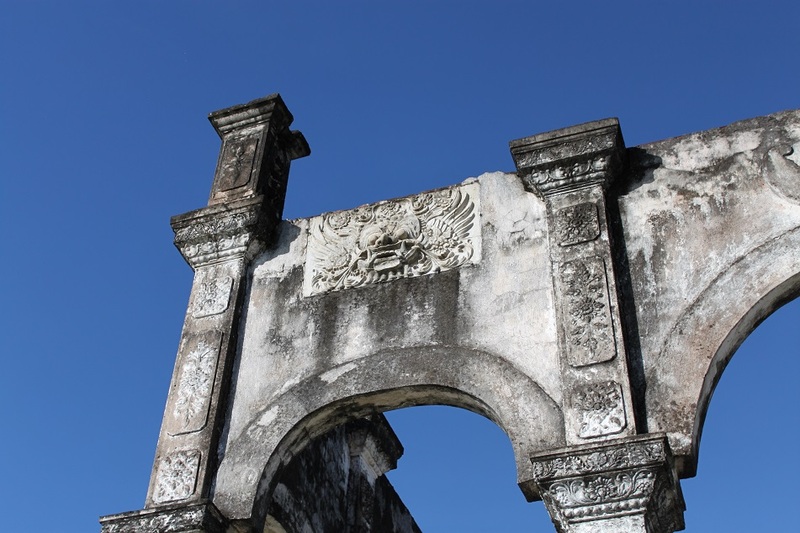 For decades Taman Ujung Sukasada ruins were abandoned, until 1994 when the government decided to start detailed surveys on what was once a beautiful royal compound. 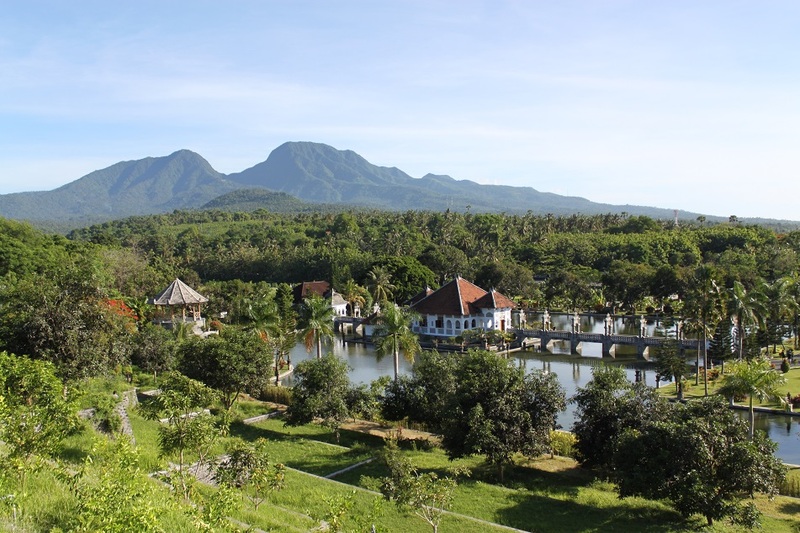 Soon after the Asian Financial Crisis the World Bank funded the first phase of Taman Ujung Sukasada restoration project, one of the projects the organization approved the Indonesian government to carry out. In the subsequent few years the palace was restored bit by bit, starting from the fence and the pools in 1999 to the pavilions in 2003. 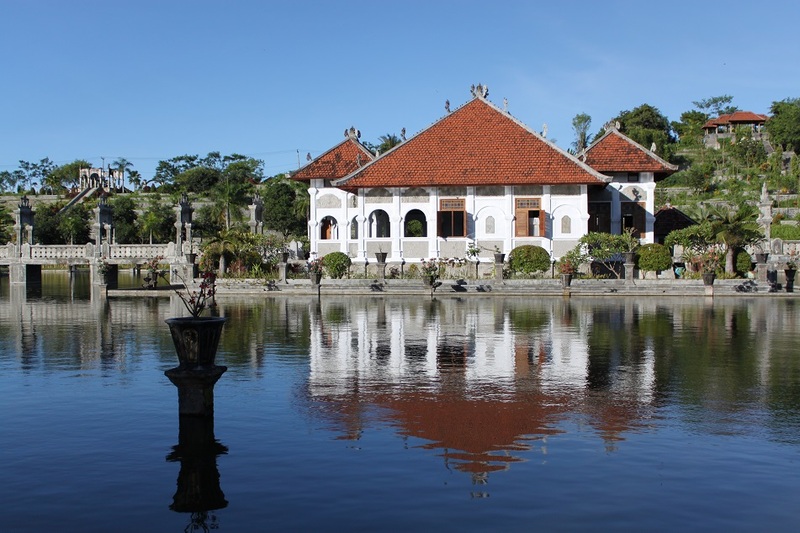 One year later Taman Ujung Sukasada was finally reopened to the public, although the ownership of the entire palace grounds remains in the hands of Karangasem royal family. 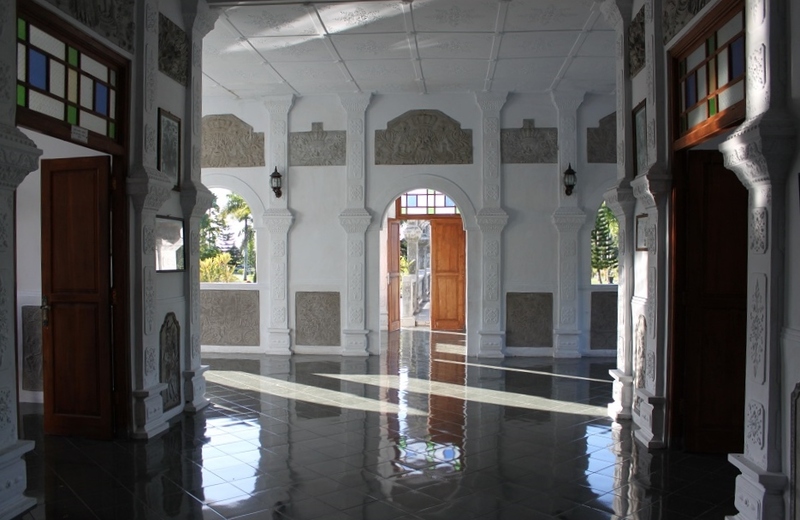 While most of the buildings and gardens that make Taman Ujung Sukasada were gentrified and rejuvenated, one building, however, was left untouched by the restoration project. The ruins of Bale Kapal, literally the boat pavilion, still stand at one side of the complex, overlooking the other pavilions below. 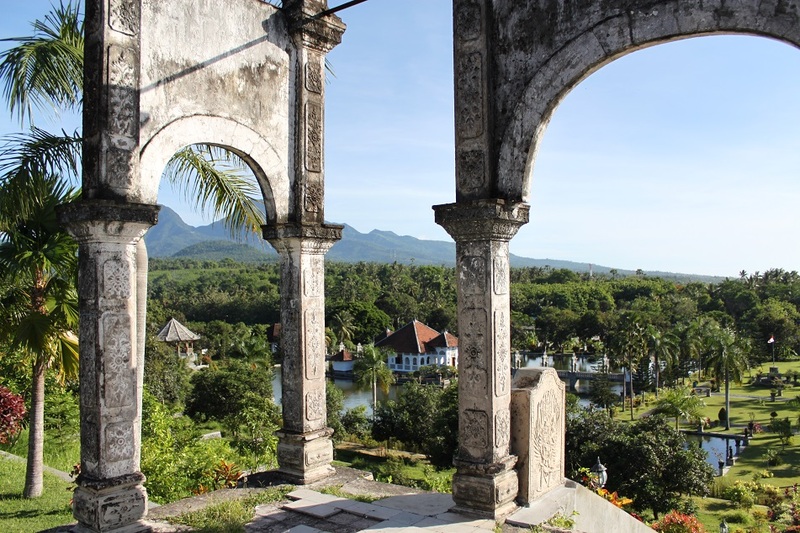 Possibly built as a viewing platform to watch the ships sailing through the waters between Bali and Lombok, Bale Kapal is a testament of the indiscriminate power of Mother Nature that once almost wiped out the palace entirely. The same power which shaped Bali’s exquisite landscapes, ironically. Buat saya pribadi, istana, museum.. cenderung membosankan 😛 Kayanya lebih menarik baca cerita sejarah tempat itu, seperti dalam tulisan ini. Kamu pengen punya museum apa, Bam? Any kind of museum. Di Manila gak sempet ke San Agustin Museum, tapi cukup impressed sama Ayala Museum. Modern, displaynya bagus dan informatif, dan nyaman. Hi Badai! Nice to have you back here. Well, the next time you go to Bali, make sure to check this place out. I do suggest to go early in the morning when the sun is not overpowering yet. Anyway, I can’t wait to read your stories from Kerala! Bama, I would have been happy to stay there the whole day – to have almost the entire palace grounds all to ourselves – that made getting up at 6 or 6:30 completely worth it. 🙂 I would love to go back and see how it looks in the late afternoon… maybe the next time we return to Bali. And what mesmerising photos! I’m glad Bli Komang came to our hotel much earlier that day, so we could go to Taman Ujung when most tourists had not even got up. 🙂 I really love eastern Bali, and Taman Ujung has clearly become one of my favorite places on the island now. It won’t hurt to go back there to see how it looks in the afternoon. Thanks James! Wow great entry! Very thoughtfully written with the historical background of the place — something I rarely get when I travel. Knowing the stories behind a beautiful spot makes it more meaningful! Definitely adding this place to my bucket list. Thank you, Heidi. Some historical background usually makes a place we visit even more interesting. 🙂 When you go to Bali, head east or north. Those are where the island’s most hidden gems are located. Interesting history – thanks for sharing. And thanks for reading, Graham and Anita. The photos are stunning; I’m so jealous! Hi bama, your posts are sooooo informative! I’ve been here a few times and now when I visit again my experience will be that much richer for this post terima kasih iya!! Trees oh images hebat skl!! Terima kasih juga, Trees. I still remember vividly that morning when I visited Taman Ujung – it was such a nice and quiet morning indeed. Enjoy your next visit to this place in the future! Beautiful photos and great write up of the history!! This is Beautiful …Bali is a Dream destination the World-Over…These Images are Simply Breathtaking! Beautiful photos and very informative! I’m glad you enjoyed the photos and stories in my blog. I have only been once to China, in the southern regions to be precise. I would love to go back to explore what the world’s most populous country has to offer – I have a list for that. 🙂 As with Southeast Asia, now there are a lot of flights connecting China and the region. Happy exploring! Thanks!! Enjoy your travelling too… Looking forward to your next post. Iya, itu sekarang jadi tempat favorit saya di Bali. Wah overland Bali-Lombok sounds interesting tuh. Naik Rinjani juga gak? Di Lombok jangan lupa ke pantai-pantai di selatan. Wah enggak sampai Rinjani, mas. Waktunya nggak cukup, plus saya masih pendaki pemula hehe. This is a beautiful palace that I haven’t heard about and the photographs are gorgeous. How far away is it from Ubud? Do you think one can make a daytrip out of it? Thank you, Victoria. I stayed in eastern Bali the night before I explored this place, but I guess if you leave early in the morning from Ubud you can reach Taman Ujung in 3 hours by car. You can certainly make a daytrip not only to Taman Ujung but also to some other places in eastern Bali before going back to Ubud in the afternoon. I like the sound of this. Thank you. We’ll be coming to Bali in August so I’ll have to get serious about all the things that you mentioned and were of interest to me. I’m in Bali for more of a cultural experience and you’ve definitely have that in spades! Do you live in Bali or do you live abroad? In my opinion what makes Bali such a unique place is not its beaches, but rather its cultural sights. I have some more stories on Bali’s unique culture and interpretation of Hinduism, so I hope I publish all of them before you go. 🙂 Actually I live in the national capital, Jakarta, which sits at the western part of Java, a bigger island to the west of Bali. Is it difficult to get to this site? Meaning only accessible by car? It depends on where you stay in Bali. I stayed around Candidasa area, approximately 11 km from this place. So if you prefer cycling, you might want to consider spending the previous night in Candidasa as well. Hi Bama, it always amaze me to read about the kingdoms in Bali. For a place so small it has a wealth of kingdoms and fascinating histories to match. The water palace and gardens are beautiful. The mixtures of influences in the architecture certainly added to its charm. I wish to visit the place someday. Lol. 🙂 Since James and I have been traveling together every now and then you can expect posts on our blogs about the same places, although sometimes I found his were written in different perspectives. Thank you, Madhu! And I have enjoyed both immensely. I loved reading this, because I was there in 2010! We stayed in a guesthouse about 20 minute walk from this water palace. One day my family wanted to take a rest and a swim, so I decided to go out and walk around a bit. Kind of by accident I arrived at Karangasem. 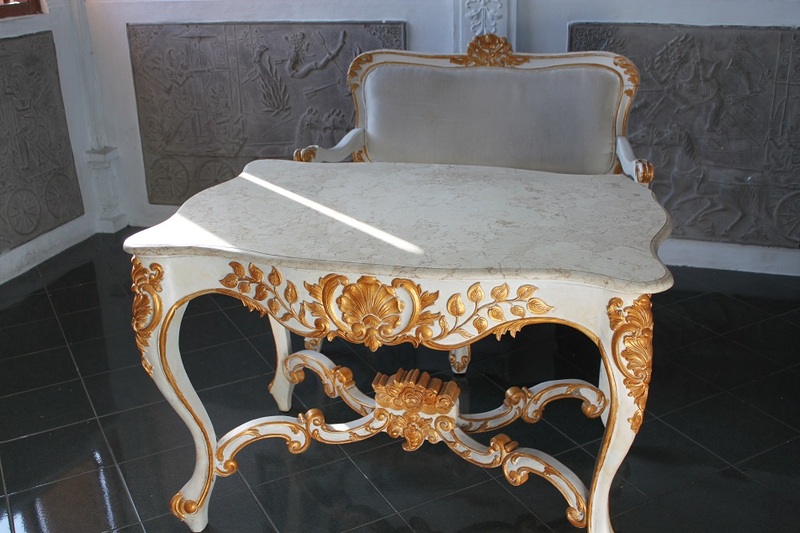 I also took pictures of the royal furniture, so funny to recognize them from your post. I think I spent an hour at least before I headed on to the coast to watch fishermen. The Eastern part of Bali is a perfect place! Ciao bell’articolo se ti va passa dal mio. Pingback: Peacefulness by the Water | What an Amazing World! Pingback: A Bat Cave Like No Other | What an Amazing World!